Pope Benedict XVI has invited us to live the Season of Lent "as a Eucharistic time in which, welcoming the love of Jesus, we learn to spread it around us with every word and deed." Surely, the source of our Lenten observance is our communion with Christ in His true Body and Blood, through participation in the Eucharistic Sacrifice and through the various forms of�Eucharistic devotion.�Our prayer, fasting and almsgiving are empty of their true meaning, unless they are inspired by the love of God, which is given to us, most fully and perfectly, in the Most Blessed Sacrament. If our Lenten penance is to bear fruit, it must, as our Holy Father has reminded us, flow from the Holy Eucharist, the great Mystery of Faith. 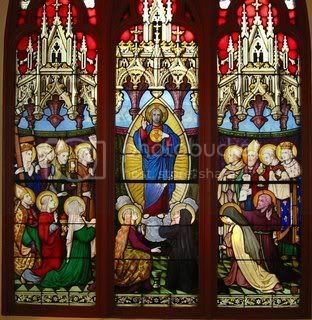 To assist us in making Lent a truly Eucharistic time, the Church provides us with various devotions which prepare us for participation in the Eucharistic Sacrifice and worship of the Most Blessed Sacrament.�These devotions also extend our privileged communion with our Eucharistic Lord to the circumstances of our daily living. The praying of the Rosary, for example, deepens our appreciation of the mysteries of our Redemption, which are all contained in the Eucharistic mystery. Through the praying of the Rosary, our Blessed Mother leads us to a deeper knowledge and love of her Son, our Redeemer, Who gives Himself Body, Blood, Soul and Divinity to us in the Most Blessed Sacrament. Making the Stations of the Cross is also an excellent way to meditate upon the mystery of the Suffering and Dying of Christ for our salvation. Walking mystically with Christ on the sorrowful way to Calvary and His Crucifixion helps us to keep before our eyes the tremendous reality, the truly incomprehensible reality, of the Holy Eucharist, in which the Passion and Death of Christ on Calvary are made present for us in our time and place. The devotion to the Sacred Heart of Jesus is at the heart of our Lenten observance, for it draws us near to Christ in the Holy Eucharist and helps us to remain in His company throughout the day. Our Holy Father, in fact, has proposed as the theme for our Lenten observance the text from the Gospel according to St. John: "They shall look on Him Whom they have pierced" (John 19:37). During Lent, as we look upon the image of Christ crucified, we especially gaze upon His pierced Heart, which He permitted to be opened by the soldier�s spear, pouring out every ounce of His being for our salvation. The glorious pierced Heart of Jesus is the source of all the graces we receive in the Church. Lent would be a good time to enthrone the image of the Sacred Heart of Jesus in your home or your places of work and recreation. The image of the Sacred Heart reminds us, throughout the day, that our Lord Jesus accompanies us all along the way of our earthly pilgrimage. It also invites us to pause and reflect upon the mystery of our life in Christ, letting Christ look into our hearts. 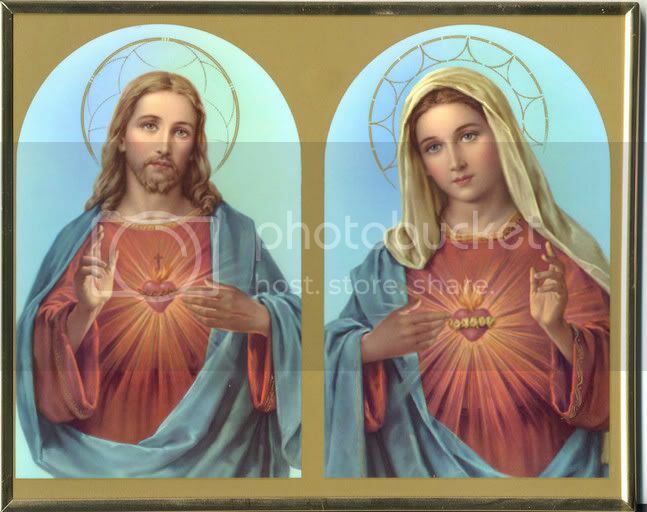 When we enthrone the image of the Sacred Heart of Jesus, we also make our prayer of consecration, giving our hearts completely to our Lord Jesus, placing our hearts totally into His open Heart. If you have already enthroned the image of the Sacred Heart of Jesus and made the consecration of your life to the Sacred Heart, Lent is a good time to renew your consecration. If you have not enthroned the image of the Sacred Heart of Jesus in your home, make the enthronement a central part of your Lenten observance. The archdiocese has published a very practical handbook to help you to prepare for the enthronement and to celebrate the enthronement once you have prepared properly. It is available through Father Thomas G. Keller, archdiocesan promoter of the devotion to the Sacred Heart of Jesus. Also, Father Keller is happy to answer any questions which you may have regarding the enthronement of the Sacred Heart of Jesus and the act of consecration to the Sacred Heart of Jesus. The Morning Offering and the apostleship of prayer Devotion to the Sacred Heart of Jesus is expressed daily by the praying of the Morning Offering, upon rising. Through the Morning Offering, we unite our hearts to the Immaculate Heart of Mary. With Mary, we spiritually unite ourselves to the Eucharistic Sacrifice, offering to the Heart of Jesus our "prayers, works joys and suffering" of the day. The Morning Offering is an excellent way to make all of our time "Eucharistic," as Pope Benedict XVI urges us to do during the Season of Lent. 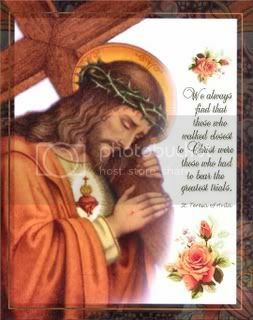 We offer our lives for the love of our Lord Jesus, for the intentions which have been placed into His Heart.�Each month, our Holy Father gives us two intentions which he asks us to remember especially. Through the apostleship of prayer, we offer our hearts to the Sacred Heart of Jesus, calling to mind the intentions of our bishops and of all members of the apostleship, especially the intentions of the Holy Father. Three intentions are mentioned specifically in the Morning Offering: the salvation of souls, reparation for sins and the reunion of all Christians. Next week, I will continue to reflect upon the devotion to the Sacred Heart of Jesus, especially the holy hour on the Thursday before First Friday, commemorating the Passion of our Lord, and the First Friday participation in Holy Mass and reception of Holy Communion in reparation for sins committed against the love of God, poured out upon us from the Heart of Jesus.